Using a credit card is the norm in our society. According to the compilation of data published on CreditCards.com, 7 out of 10 Americans have at least one card in their wallets. You cannot really blame consumers for wanting to use one. After all, it is very convenient to use it. You do not have to worry about counting change or having your cash stolen from you. There is a certain level of security when you are using this type of purchasing tool. When you lose your cash, it is very hard to get it back. When you lose your card, you only have to call the credit card company and they can freeze your credit so the person who got you card cannot use it. Of course, the dangers of using a card goes beyond theft. Most of the time, the problem lies in our own personal reaction to it. If you do not know how to use this purchasing tool properly, you might end up digging a debt pit that you cannot get out of. But beyond your payment behavior and smart purchasing choices, you need to realize that changing your credit card may be one of the things that you need to consider to improve your credit position. Sometimes, we have this attitude of not changing something that is not broken. It may not be entirely applicable to credit cards. Although your card may still be your favorite because it is an old card and you have maintained a great relationship with the credit card issuer, you may be missing out on great rewards just because you were too complacent with your choices. It is usually discouraged to close an old credit card but there are some benefits to opening a new one. Some experts would say that you should keep your card ownership to a minimum. 1 or 2 should be enough. A lot of cards can help increase your credit limit and may help you increase your credit score. However, having all of those cards pose a strong temptation to abuse credit use. While you should be careful with your credit card applications, there are three important reasons for you to apply for a new one to replace the old. When you reach a milestone. A milestone is a life event that is significant enough to influence a lot of changes in your life. Most of the time, the changes will affect your expenses. If a lot of your expenses will change, you might want to consider getting a new card to complement that change. For instance, if you are starting a company, you need to get a business credit card that you will use for business purposes only. The same is true when you get married, or start having kids. You should also consider getting a new card if you decide to move to a new city or state. That way, you can use this when shopping in local stores. You might be able to get great discounts if you get a store card that will give you rewards when you regularly shop with them. When you want to make a major purchase. In 2014, ConsumerReports.org revealed that American consumers are showing signs of being ready to make major purchases like homes, cars, and appliances. 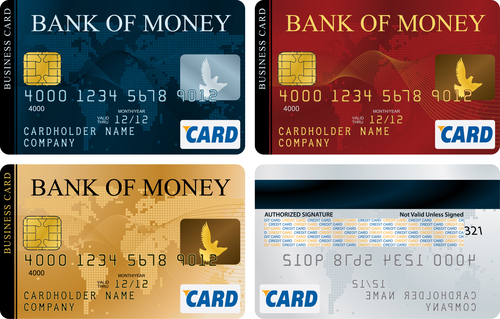 If you think that you are ready to make this big financial step, it is a great reason to get a new card. At least, this should be a card where you can benefit from a major sign-up bonus. For instance, if you just moved into a new location and want to buy expensive items for your house, head out to the local department store. Get a store credit card so you can benefit from the sign-up discount that they will offer. You can save a lot of money when you buy the appliances, furniture, and equipment that you need in your new home. You are going to buy them anyway. Why not choose the option that will help you buy these products at a lower price. When you have set life-changing financial goals. Sometimes, financial goals require you to buy things to help you reach it. For instance, if you plan to open your own business, it is important for you to get a business credit card to use. Not only will this give you the chance to build up on your business creditworthiness, it can also help you separate your personal and business spending. Another goal that you may have wanted to set is traveling. This is a financial goal because it can be costly and you need to save up for it. You may want to get a credit card that can help you get travel rewards. Here is a video that discusses the different factors that you need to consider when you are getting a new credit card. Getting a new credit card has its benefits but you have to make sure that you will not go overboard. It is very important to make the right choices when you use it because it could lead you to a lot of debt. Here are a couple of rules that you can follow to help you be responsible when using your credit cards. Don’t carry over a balance, always pay everything asap. According to a study published on ConsumerFinance.gov, there are two types of credit card holders: transactors and revolvers. The transactors are the ones who pay their balance in full at the end of the month to avoid finance charges. The revolvers are the credit card owners who carry over a balance to the next billing cycle, thus incurring finance charges. Apparently, the Great Recession taught a lot of consumers a lesson because there was an increase in transactors today. You should be a part of this statistic because paying your balance in full will help keep your purchase costs down. Don’t bring it with you unless you are about to do a planned purchase always budget its use. Another tip to use your credit card wisely is to bring it with you only if it will be used for a planned purchase. When you plan its use, that means putting the amount in your budget. This will help you remember your spending limit. Not only that, since it is in your budget, you should have the cash in your account when the billing statement comes. You can pay off your balance in full to avoid the interest rate on the card. Don’t be afraid to negotiate, always check if you can lower your interest or waive fees. Negotiating with your creditors may seem like a daunting task but do not feel intimidated. You have every right to negotiate for a lower interest rate. The creditor usually complies – especially if you displayed a good payment behavior. If it means you get to continue being their client, you can be sure that the creditor will relent and give you a lower interest rate. Don’t be complacent, always update yourself of credit card news. Finally, you have to keep yourself informed of the different credit card news in the country. For instance, the Federal Reserve said that they will increase the interest rate this year. That means a lot of financial institutions will raise their own rates. Even your creditor probably has plans to do this already. You should be ready in case their raise the rates so you can negotiate to keep your rate where it is – or possibly lower it further.